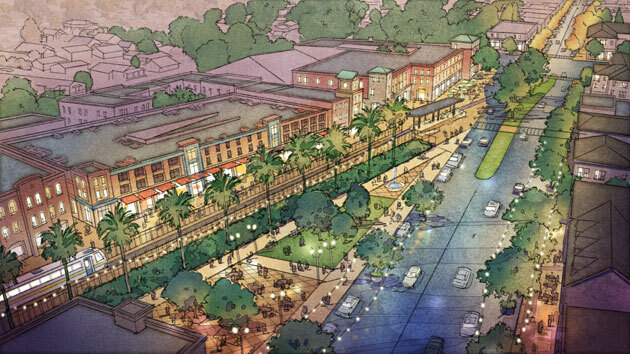 This project creates a planning vision for the historic downtown of San Dimas. The primary catalyst for this vision is a new light rail station located at the western terminus of Bonita Avenue, the City’s main street. 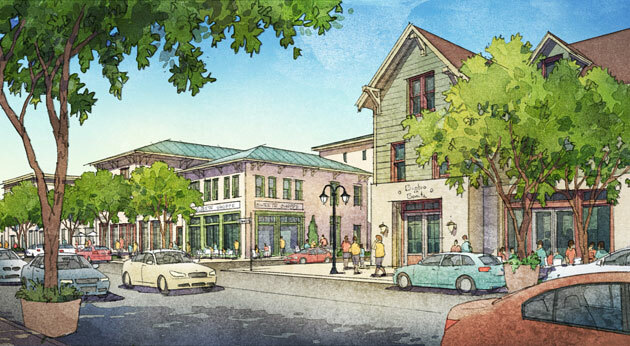 A new plaza and public parking garage lined with commercial and retail uses announces and activates the station area and becomes a gateway into the downtown. New infill at both the block and lot scales completes the street fabric and defines the network of open spaces and parks. 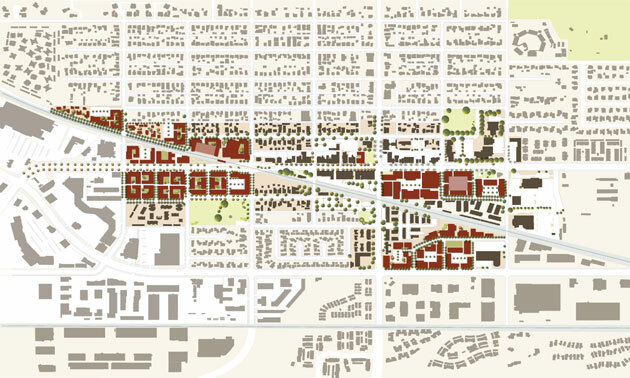 Bonita Avenue and other cross streets are tamed with bulb-outs, cross-walks and landscape elements to make them pedestrian-friendly, even as a robust preservation strategy ensures that the historic character of the downtown area will be retained for the long term.